Cheap Cruises From Fort Lauderdale - When and Where Can I Go? Cheap Cruises From Fort Lauderdale – When and Where Can I Go? 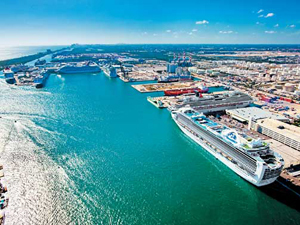 Cheap cruises from Fort Lauderdale can literally bring you the world as you can jet off for destinations in the Caribbean, Mexico, Central America and Europe from the convenience of the Fort Lauderdale cruise terminal. Cruises from Florida are popular because of the many ports that are serviced by the best names in the cruise business. Miami is popular with their weekend getaways to the Bahamas for example, and while 3 day cruises from Fort Lauderdale don’t commence until January of 2014, rest assured that great vacations from this southern Florida port await, bringing you culture, sun and a holiday to remember. Cheap cruises from Fort Lauderdale come in all shapes and sizes. Take for example the Holland America offering, cruising May 17 where for 31 days you take in the sights of such places as Bermuda, France, Belgium, England, Denmark, Germany, Estonia, Russia, Sweden and Finland before you part ways in London England. This cruise is on sale for 58% off the regular price, now starting at just $3,499 per person. Also from Holland America is the May 3rd sailing that lasts 15 nights and goes to places like Charleston, Newport, Bar Harbor, Halifax, Sydney, Charlottetown, Gaspe, Quebec City and Saguenay before cruising the beautiful St. Lawrence River and arriving in Montreal. This cruise is on sale starting at just $1,199 per person, a savings of 45%. Cruises from Fort Lauderdale that are shorter in duration like the Carnival offering that departs May 4th for eight nights and takes you to Grand Turk, the Dominican Republic, Curacao and Aruba are also on sale, this one starts at just $579 per person, saving you 68%. Royal Caribbean’s cheap cruises from Fort Lauderdale include their May 11th trip for 7 nights that visits Haiti, Jamaica and Cozumel, yours for only $1,049 per person. Princess and Celebrity lines also offer various Bahamas cruises from Ft Lauderdale with stops at their exclusive islands before heading off to fun in the Caribbean sun. One way cruises to Los Angeles and San Diego are also offered at a discount from both Holland America and Princess. Holland America’s cheap cruises from Fott Lauderdale includes stops in Aruba, cruising the Panama Canal, Costa Rica, Nicaragua, Puerto Vallarta and Cabo San Lucas before heading to San Diego, while Princess takes you to Aruba, Colombia, the Panama Canal, Costa Rica and Guatemala before heading to its final destination of Los Angeles. Also available from the port are 4-hour dinner cruises from Fort Lauderdale that allow you to relax on a much smaller ship while eating a delicious dinner and being entertained by the local musical revue on board. These trips let you see all the beauty of the area without embarking on a cruise. Also check out the fishing trips and sightseeing boat tours in the area, whether you are taking a cruise or not, these are great day trips for the whole family.